I finally found a decent sample of my Clan Tartan!!! Aww Deb! You know I gotchu. 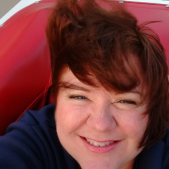 WHen this thread first got started, I went and looked for anyone who'd mentioned their clan. I have a folder full of tartans. I know you do...and it's a nice feeling! When I attend Harp & Shamrock events I wear St. Patrick. Most of the Irish plaids are either national or county, but there are a few family ones. The family ones are usually hard to find, custom order and expensive! There is a plaid for our surname, but we wear Irish generic tartans for the above reasons. After a renewed interest in Wayne's genealogy (through DNA research no less) I have verified through one of his close DNA matches (a bagpipe playing Scotsman no less!!) that hubs belongs to the Stewarts of Appin. I will be proudly wearing the Stewarts of Appin Modern Tartan at the convention! So add this to your cookie patterns, Landalish! The Appin Stewarts, also known as â€œThe Loyal Clanâ€, is the West Highland branch of the royal surname Stewart, descend from Sir James Stewart of Perston, 4th son of Sir John Stewart of Bonkyl, second son of Alexander, the 4th High Steward of Scotland. Sir James was the grandfather of John Stewart of Innermeath, who, through marriage to Isabell NicDougall (MacDougall) of Lorn, became the first Stewart Lord of Lorn. The Lordship of Lorn passed down for 2 more generations to Sir John Stewart, the third Stewart Lord of Lorn. Tradition tell us that in 1445, while returning to his seat at Dunstaffnage castle from the great cattle tryst at Crieff, Sir John met and fell in love with the daughter of MacLaren of Ardvech. Although married, he began an affaire with his new love which one year later produced a son. He was christened Dugald and was to be the first Chief of the Stewarts of Appin. After the death of his first wife, Sir John waited, for reasons we are unaware of today, for 5 years until setting up the marriage between himself and Dugald's mother, but it may have had something to do with the politics of the day. In 1463, Sir John set a wedding date and sent for Dugald and his mother to come to Dunstaffnage. Unknown to Sir John, there was a plot to kill the Lord of Lorn. It is not fully known, but it is thought to have been set up by the Lord of the Isles who was in a power struggle with the King of Scots, and who saw it as being in his best interest to neutralize this powerful and loyal representative of the King in the west highlands. The other plotters, which some feel included Colin Campbell, Lord Argyll, Sir John's son-in-law, were primarily represented by Alan MacCoul, the illegitimate grandson of an earlier MacDougall Chief. As the lightly armed wedding party made it's way from Dunstaffnage to the small chapel located approximately 180 yards from the castle walls, they were attacked by a superior force lead by Alan MacCoul. Although better armed, MacCoul's force was defeated, but not before mortally wounding Lord of Lorn. Sir John was rushed into the chapel and MacCoul and his henchmen ran into and occupied the deserted Dunstaffnage. With his last breath Sir John married Dugald's mother, legitimizing him and making him the de jure Lord of Lorn. After receiving the last rites, Sir John expired and a new chapter in west highland history was opened. These are more than enough options for me at the moment. Thanks Landa for the encouragement for us to check our own out. 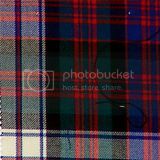 Just an FYI -- if you google your local Scottish societies/clubs/organizations, you'll often find tartans that have been created specifically for the area. 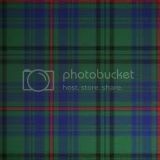 (No need to go without a tartan simply because of a simple thing like genealogy! ) For example, we have tartans for both the State of Oklahoma and the City of Tulsa. You can also search here. 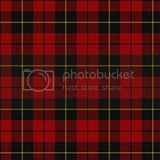 Of course, the Ghere family will be sporting Big Mike's maternal grandmother's Clan MacGregor Formal Red Modern Tartan. Thanks Holly-- Since I have absolutely NO Irish or Scootish blood in me what-so-ever since I am 100% Dutch so I will more than likely be going with the all-purpose California Tartan. Guess i should get on the stick and order soon. I most certainly concur, Holly and Annemarie!! I hope I didn't make it sound like we have to 'qualify' to wear tartans at the convention! If I did, I offer my sincerest apologies! Any and all tartans are welcome! Please excuse my exhuberance over the latest discoveries of Wayne's Scottish ancestry. no apologies necessary.. I'm just glad to have found which tartan I "CAN" wear! Pffffft. NOT AT ALL, Snog!! I was simply hoping to let people know that they're are ways to get around not having an "ancestral" tartan. I only know these things as a result of participating in our local Highland Games -- which draws many people that are not necessarily Scottish. Reading some of these posts made me realize some may be WANTING to "identify" with a tartan, but may not necessarily be aware there are other "types" of clans out there these days. And if you need help, let me know. Ive been staring at this stuff for years but a lot more in the past year. Thanks Holly-- Since I have absolutely NO Irish or Scottish blood in me what-so-ever since I am 100% Dutch so I will more than likely be going with the all-purpose California Tartan. Guess i should get on the stick and order soon. Its all starting to come together... My Kilt/skirt came in the mail today. now just have to find the right blouse to go with it.. YAY!!!!!!!!!!!!!!! I have Scottish/UK ancestors from both sides. Mackenzie from my Moms side and Canon, whick I beleive is more welsh, from my dads side. Boy oh boy, we're going to be quite the colorful room!! I can't wait to see everyone's tartans! RandomLanda, I don't believe I've had the pleasure of making the acquaintance of your cookies. I very much look forward to meeting you! Oh the Marines have an awesome tartan. Cant wait to meet you!!! Hey KP (or should I say "cousin"? )..You can add me to your family tree...I'm of the MacDonald clan as well!